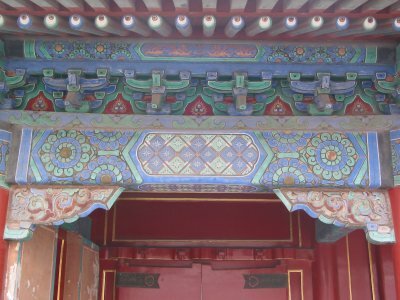 The Gate of Glorious Harmony (Xihe men) is in the center of the corridor rooms to the southwest of the Gate of Supreme Harmony (Taihe men). 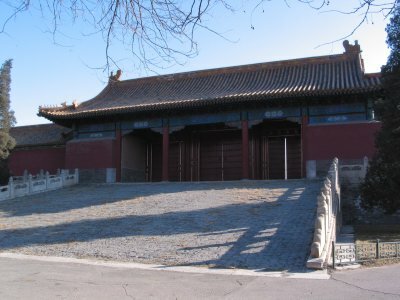 It is the gateway from the Outer Court to the Hall of Martial Valor (Wuying dian) and the West Prosperity Gate (Xihua men)—the west gate of the Forbidden City. 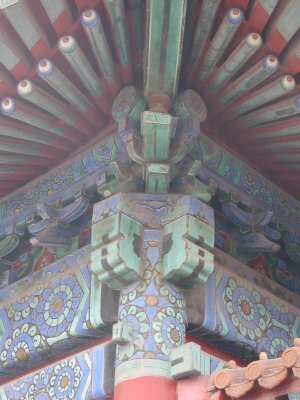 Initially named Gate of Right Obedience (Youshun men), it was rebuilt and renamed several times. The current name was designated by the Qianlong Emperor (r. 1736-1795) of the Qing dynasty (1644-1911). 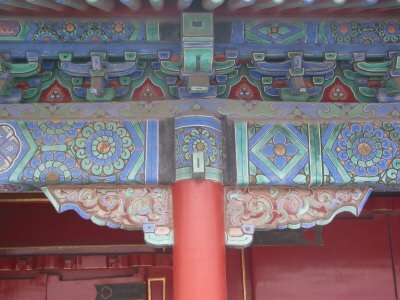 During the Yongle reign (1403-1424), in order to cope with the severe winter cold, the emperor ordered that at the conclusion of morning audience officials should move to the rooms next to the Gate of Glorious Harmony to deal with specific issues of state.